The StarOffice suite has a long history dating from the 1980's, first as a proprietary office suite with cross platform support and later on offered for free in 1998 by StarDivision. One year later they were bought by Sun with the intention of making the application a competitor for the MS Office suite. From then, StarOffice will only be offered as a paid suite with a freeware alternative in OpenOffice as a fork platform. Starting from the 6 version, Sun started to build the StarOffice suite using the base from OpenOffice. 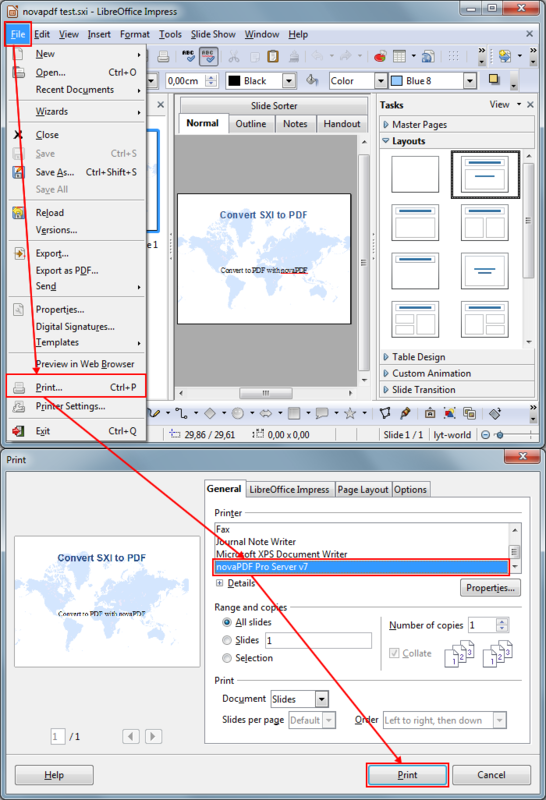 The sxi file extension is used for the presentation created by the StarOffice Impress. The file is based on the OpenDocument standard for formatting so it can be opened by any compatible application. Still, the file is not recognized by the Microsoft Office alternative as being a valid extension so only OpenOffice/LibreOffice versions can manage it. As of 2010 it is unclear what happened with the sxi format as it was dropped and replaced in these applications with the odp one, making StarOffice the only program left for native support. This is why using the extension now for day to day projects is an inconvenient so having it converted to a PDF which is a standard for portability and archiving is an advantage as you can further share and handle the file without the need of having any Office installed. With the help of a PDF converter such as the novaPDF one, you can also enhance the security of the file, add signatures to it, watermark it, bookmark it, add searchable content on it and more. Open your StarOffice suite and search for the file you want to convert to pdf by clicking File->Open or pressing the Ctrl+O combination. After that go to File->Print and in the Print window select novaPDF as the printer name. Now click OK and in the Save PDF File As window click OK again. The conversion will begin. 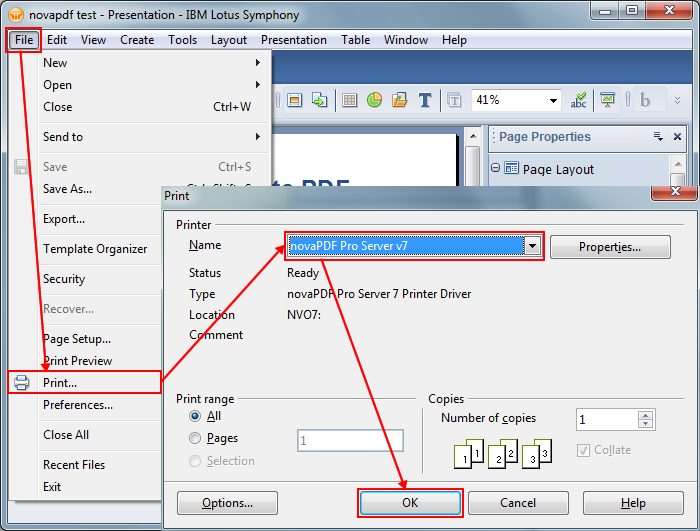 Open your sxi file in the Lotus Presentations application by clicking on File->Open->File or pressing the Ctrl+O combination. After that click on File->Print and in the Print window select novaPDF from the dropdown list. After that click OK and in the Save PDF File As window select OK again. The conversion will be completed after. In your LibreOffice application click on File->Open to search for the sxi file you want to convert to a PDF. 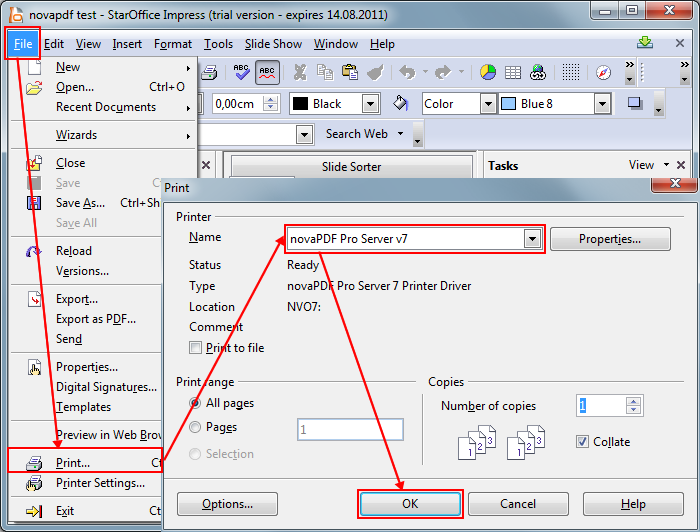 After opening the file click on File->Print and in the Print window select novaPDF from the printers list. After that click Print and after selecting after save actions if needed click OK. The conversion will be completed after.